Liverpool have made a habit under Jurgen Klopp of securing the best talent at mid-table (or lower) clubs and turning them into players who offer a vital contribution to one of Europe’s most impressive teams. Andy Robertson was signed from relegated Hull; Xherdan Shaqiri from relegated Stoke; Gini Wijnaldum from relegated Newcastle. Sadio Mane and Virgil van Dijk arrived from Southampton. Alisson and Mo Salah were bought from AS Roma – a big club – but not one as big or financially well off as us. It’s a clear transfer strategy that has worked wonders. Identify the hungriest and best players, at the right age with the right characteristics, at clubs in the tier below the elite – and let them fulfil their potential at Anfield. And this is one of many reasons why Felipe Anderson would be a perfect summer 2019 fit. 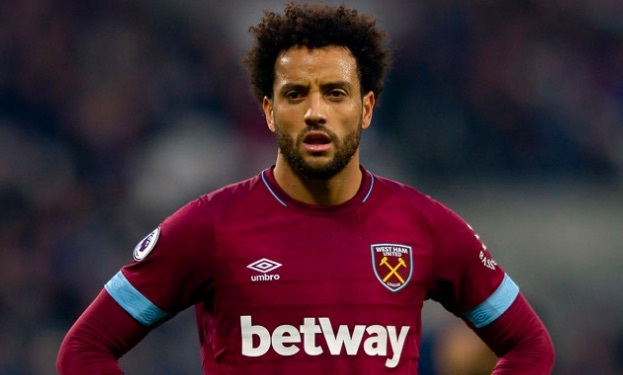 The Brazilian was signed by West Ham at the start of this season and has taken to the Premier League like a duck to water. He’s scored eight goals so far in the top flight – the same as Sadio Mane – and registered two assists, but his potential ceiling is even higher. Anderson, the perfect age at 25, is exceptionally skilful, but backs up his finesse with physical attributes and directness. Its not an enormous exaggeration to say he possesses the tight ball-control of Coutinho and the dynamism of Mane. Anderson’s best position is left-wing, making him a superb rotation option for Mane; but he has the versatility Klopp loves – playing as a no.10 and a right-winger for West Ham already this term. Theoretically, Anderson could cover three positions in our current 4-2-3-1 formation – anywhere behind the striker. Of course, West Ham didn’t get Anderson cheap. In fact, he cost £41.5m including add-ons according to BBC Sport, so Liverpool would surely have to bid closer to £60m (and maybe more) to convince the Irons into selling. With Roberto Firmino doing so well as a no.10 behind Mo Salah, it’s not really an out and playmaker we need – but a vibrant attacker who can fill multiple roles. The player would surely jump at the chance to play under Klopp and link up with our Brazilians, with Alisson, Fabinho and Bobby loving Merseyside life. What’s more, the former Lazio man will have had his period of adaptation into English football, so would hopefully hit the ground running – much like Mane did following his preparation at Southampton – for example. As fans, we’ve been told a playmaker is a summer priority, but for us, a versatile wing-forward with the creative characteristics of a playmaker is more a necessity. Maybe Klopp agrees, having turned down the chance to sign Christian Pulisic. After all, Naby Keita will eventually get into the side in midfield and Alex Oxlade-Chamberlain will return – suggesting there isn’t much room in any potential lineup for a traditional no.10. We’d encourage any Liverpool fans to watch Anderson closely until the end of the season. We reckon you’ll be as impressed as we are!